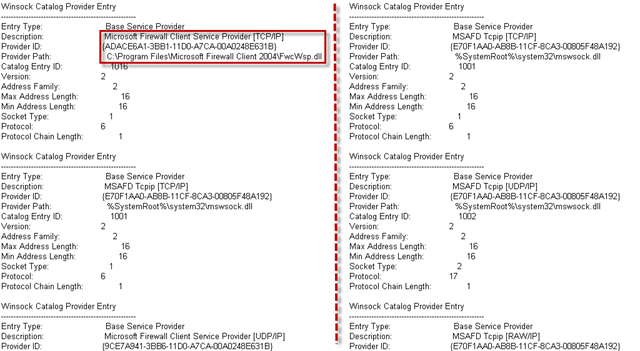 This case demonstrates the importance of understanding basic networking components in Windows and how they work in an environment that sits behind a proxy. The methods used to uncover the culprit did not involve a detailed analysis of network traffic or using any utilities or tools that do not already come with Windows. In fact, because this was time sensitive and I was not afforded the luxury of troubleshooting afterhours, I could not rely on any of the various tools I turn to, like Process Monitor, crash dumps, or Network Monitor. 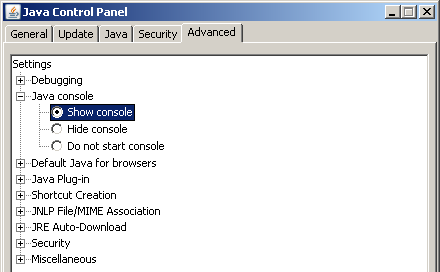 Previous troubleshooting steps taken before it got me involved timely uninstall and reinstall of the Java client, an IE Reset, and upgrading from IE 7 to IE 8, all to no avail and creating irate user syndrome. At this point, the two java processes would run for about a minute or so, then present a “Loading Application” splash screen … and then abruptly close, taking the user back to another login URL (insert expletives from the user here). I didn’t know if both processes were shutting down or crashing. 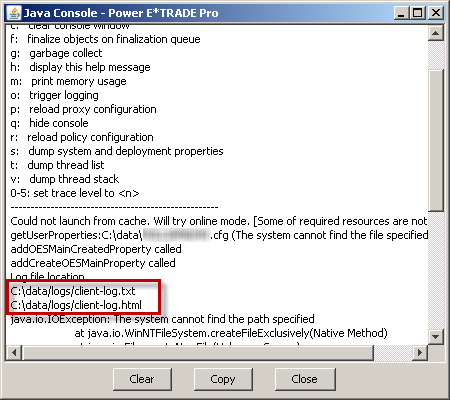 I didn’t see the post-mortem Windows XP debugger, Dr Watson, capturing an error in its drwtsn32.log or a user-mode dump. 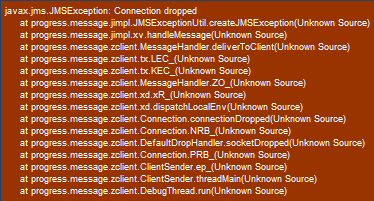 Additionally the Debug Diagnostics service did not detect a crash for either javaws.exe or javaw.exe when attached. 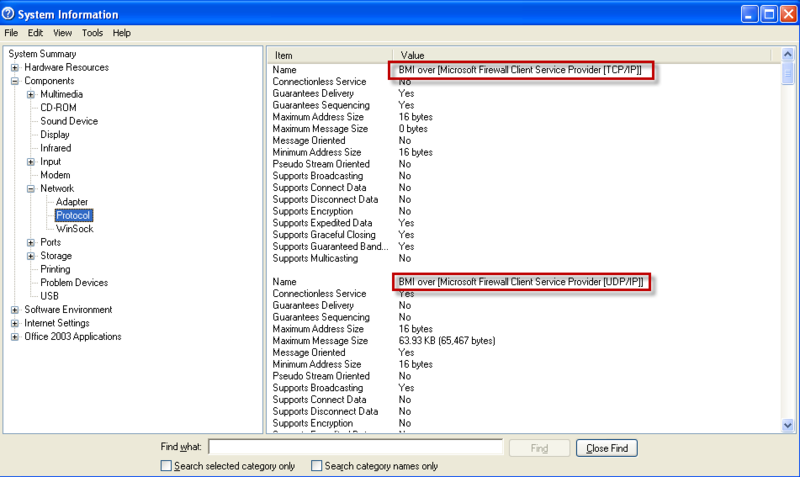 The application is trying to communicate over SSL (secure socket layer) port 443 but failing. This is the default port for SSL so it is not likely being blocked by our network. The problem seems to stem from a Winsock issue (Windows Socket); the error “Unable to initialize socket” is quite telling, assuming you have a basic grasp of how applications need to communicate from behind a proxy. In short, Winsock specifies how network applications access network services, e.g. TCP/IP. Applications that cannot be internally configured to point to a proxy to get to the outside rely on some other means to find their way out of the network. 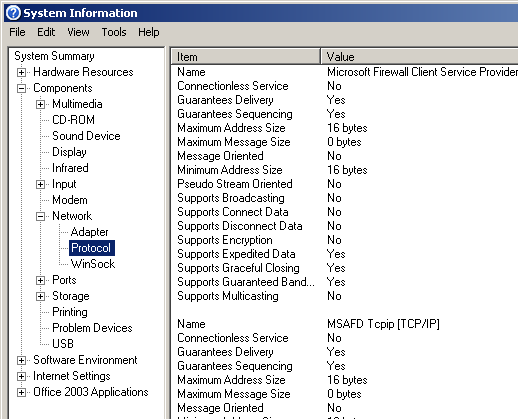 This would be some kind of Layered Service Provider, and in our network this is the Microsoft Firewall Client for ISA. Another way of verifying that the fwc is working is to disable the Proxy Server in Internet Explorer. If the FWC for ISA is functioning, then it will handle url requests that go outside of the network. If it has failed, then Internet requests will fail. Removing these from Add or Remove Programs may fix the broken functionality of the fwc for ISA (a repair of the fwc may be required as well). 2 You can manually break the FWC by running the following command netsh winsock reset catalog for testing purposes. This entry was posted on July 1, 2011 at 10:42 am	and is filed under Troubleshooting. Tagged: Networking. You can follow any responses to this entry through the RSS 2.0 feed. You can leave a response, or trackback from your own site.